Horrified, Milo whirled to discover he wasn't alone. There was a flamer about --dancing the flame dance-- and ready to strike! There is always one, isn't there? As a member of the Internet community, I have seen it before - it is fairly common place for one fan to get up in arms against the opinion of another. I guess my shock is that I have never seen someone openly attack an author's work on the author's blog before. I guess I am in shock because it's my blog that was being attacked. Because of the flamer, all comments on my blog now have to be moderated by an admin before being posted. It's appalling, it's rude - and it's in poor taste. 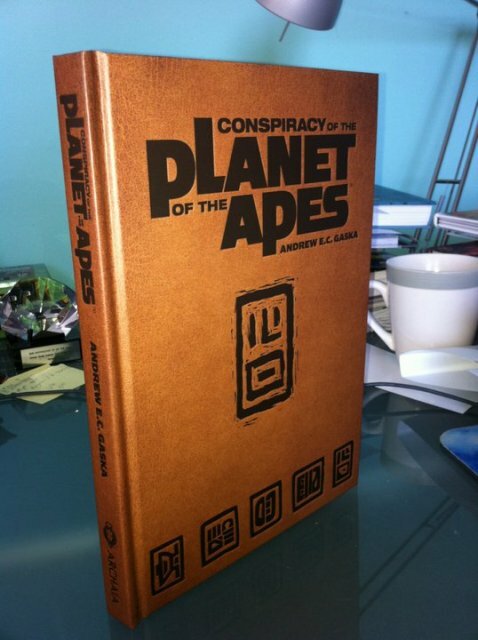 In creating Conspiracy of the Planet of the Apes, I sought to tell an engaging story. 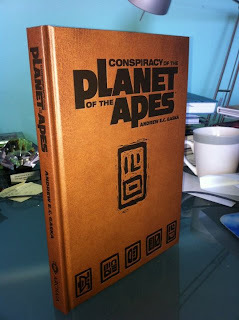 I wanted to create a coherent classic POTA universe in order to honor the work of Paul Dehn, Rod Serling, Doug Wildey, and everyone else involved in the creation of the various forms of Planet of the Apes -- by tying up the loose ends and bringing the various elements they have created together in as seamless a fashion as possible. As a stand alone film, the original Planet of the Apes is a masterpiece that requires no continuation, and no sequels, no expansion. But when you lump the other films in there, Apes becomes a completely different animal, in theme and character. Instead of being about Taylor's realization that man is simply the ultimate destroyer - It becomes about the plight of the apes and their struggle to not repeat history - not to become like man before them. By itself, the original is flawless. Add the rest of the film series in, and it becomes confused. Throw in the animated series and TV series, and nothing makes sense. This is the nature of an Expanding Universe that has no stewardship. 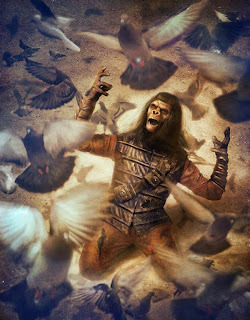 My concept for my POTA novel series was to retroactively be that steward. 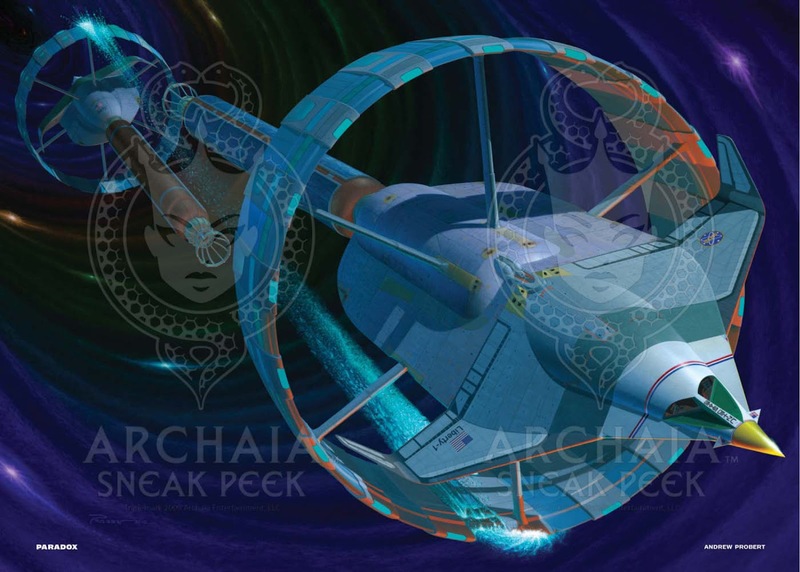 How can the expanded universe be woven together? The answer was simply: utilize something that Paul Dehn had presented in the third film, ESCAPE - the notion of time being a highway with infinite lanes. 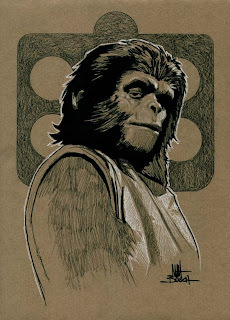 Although this concept arises from within a key film to the POTA expanded story arc, the flamer mentioned above has accused me of putting my personal vision of Planet of the Apes out there and labeling it "official". See, that's what happens when someone secures a license in the first place, and gets their work approved by the license holder. PERSONAL VISION becomes OFFICIAL. Not CANON, of course, that is usually debated by the fan community, and understandably so - I do expect such discussions about my work. The same goes for any license. While many fans weren't happy with it - there is no question that Chewbacca's death in the Del Rey novel STAR WARS: Star by Star was in fact official. It was signed off on by Lucasfilm. Is it canon? No. its expanded universe- which means you are free to include or not include it. Star Wars becomes an even tougher pill to swallow, when the new canon contradicts the old (the prequels don't really connect all that well with the original trilogy). Does that make any sense? That depends on "a certain point of view". Honestly - its up to the creative team behind a project to make it make sense - and its up to the fans to like or dislike whatever they want, whether it is labeled canon or not. Star Wars and Empire are my favorites - and as far as I am concerned, flawless. Parts of Return of the Jedi don't sit well with me as a fan, so I often decide to glaze over that one, and the prequels, well, they aren’t my Star Wars but the Clone Wars cartoons (both the traditional animation and the CGI one) are to my liking. However, I would never suggest that any of these things were not official. Regardless, the work, once approved by the license holder (in POTA's case, FOX) it is official. The time highway system makes things neat and clean because if there is something that doesn't jive with the next installment of the franchise, its because we are now in a different lane. This way, everything counts - it just depends if you are in the shoulder, hammer, or HOV lane. 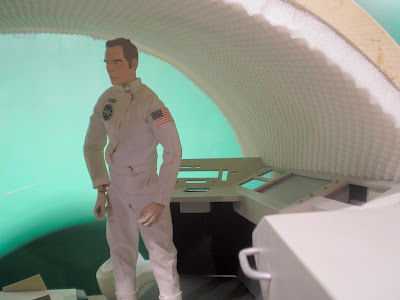 To tie it all together, I made it so that the various astronauts we have seen throughout the classic material all left from what was essentially the same lane, and as they travelled to the future, they crossed over into different realities, and different futures. Pierre Boulle created Planet of the Apes, but Michael Wilson and Rod Sterling's 'personal take' is also official (and in their case, canon - while Boulle's book is not). Take it or leave it, the same goes for the creative teams behind the subsequent films. Personally, I have always adhered to Paul Dehn's crazy ride - and how he made each sequel so different than the last. I was very disappointed with Battle, and its kid movie approach to something that was previous dark, disturbing, and ultimately very adult. Regardless - it all exists, its all out there, and its all official. 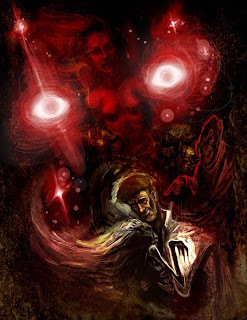 While I am a fan, my work is not fan fiction - my work has cost me much in both time and money to bring to an audience that by the large have received it positively. Flamer, whom, as far as I can tell, I have never even met, is way too concerned with having my work not be part of continuity - and is adamant that these issues can not be resolved utilizing my methodology without violating the canon of the first two films (which, of course, actually contradict each other). We must all try to remember that this is science fiction - which 9 times out of 10 means there is a solution. If this was the Godfather, and something was contradicted between films, we would be forced to conclude that one of scenes was wrong, perhaps the characters in that scene had the wrong information - all the while realizing the production team had in fact screwed up. In Godfather of the Apes, however - we have the notion of time travel, which means we have the power to resolve discrepancies indiscriminately, production team screw ups be damned. My flamer doesn't have to like it - that's the beauty of not living in a totalitarian state. And if you don't like it - you don't have to read it. If its not your thing, and you have your own blog, give it a bad review. Whether you like it or not, talk about it your feelings on the matter on message boards.Complain about me or my work in a forum setting. Heck, even offer intelligent debate with me on my sites - so that we can have an intellectual discussion about the thing. Just don't flame my blog, or my website. Don't attack a creator who is among the few trying to bring the fans new classic material in a world that is just interested in reimaginings and reboots. If my work is successful, FOX will recognize this as a viable market. It will lead to more - first by me, and later by other authors - maybe even ones who put forth theories our flaming friend can get behind. Never buy something you don't like. For that matter, never rub another man's rhubarb - and don't make it your personal war, either. These books and movies are supposed to be entertainment, after all. DEATH OF THE PLANET OF THE APES teased! George Taylor joined the Air Force to see the world, hoping to find somewhere that was better than his home. 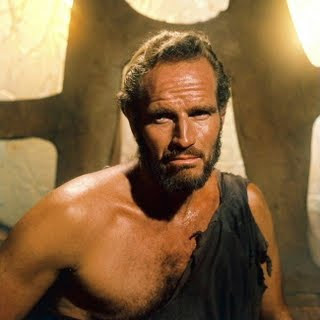 Instead, he discovered that mankind was the same everywhere - brutal, selfish, and masochistic. After a mysterious and unknown craft crashes during the Korean War, and his fighter squadron is caught up in the cacophony that follows, Taylor realizes he just might have his chance to find something better. 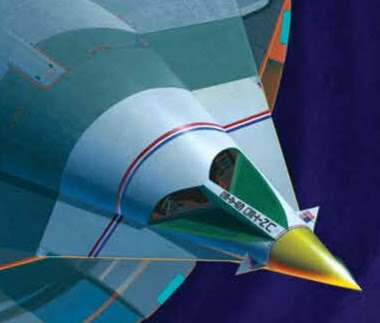 Taylor becomes a rising star in a top-secret mission of space exploration, one that will take him far beyond the earth and mankind. Far beyond the reaches of time itself. 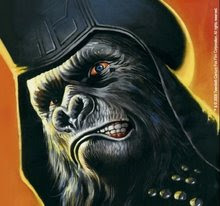 Set during Beneath the Planet of the Apes, and flashing back to the origins of ANSA’s mission to the stars, BLAM! Ventures second foray into the Forbidden Zone follows Taylor’s lost journey and eventual capture by the mutants who inhabit the underbelly of the irradiated remains of New York City-- a tale never chronicled until now. But before he gets there, Taylor will discover the ultimate secret of the Planet of the Apes, hidden deep within a futuristic gleaming technological megacity beyond the Forbidden Zone-- a city inhabited by an advanced civilization of half human/half ape hybrids! In Ape City, rumors persist of humans capable of speech. Newly minted chimpanzee animal-rights-activist Liet leads an organized protest against both the orangutan ordered extermination of mankind and a gorilla war with an unknown enemy. That protest sends waves of revolt throughout the community, until all chimpanzees stand united against their caste overlords. 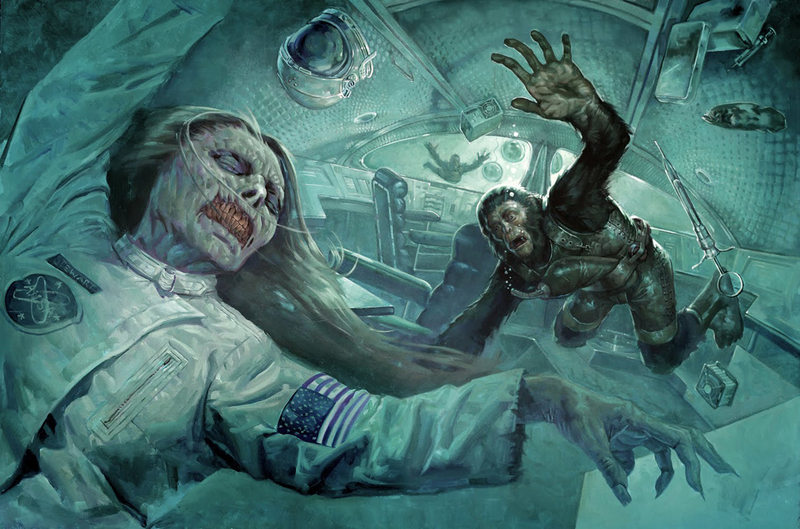 A rescue mission launched from the twentieth century to find Colonel Taylor goes awry, leaving astronaut Brent stranded on the Planet of the Apes, slowly losing hold of his sanity. In the catacombs beneath the Forbidden Zone, an exiled gorilla and orangutan fight to survive against savage cannibalistic creatures. 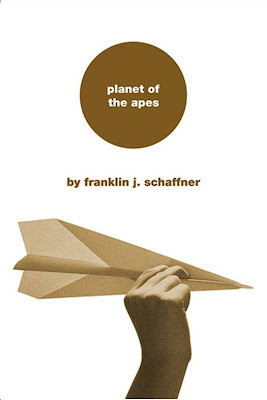 Elsewhere in the Zone, chimpanzee engineer Dr. Milo finds himself on the brink of achieving a scientific breakthrough thanks to his latest discovery: Taylor and Landon’s lost spacecraft. 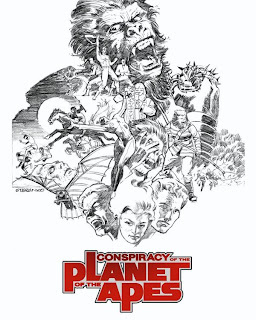 Calling for help from his friends, Cornelius and Zira, and utilizing parts from a second ship found smashed into the desert floor, Milo works to resurrect the space vessel and challenge both the scared scrolls and the simian laws of science by taking flight in a vehicle built by a technologically superior man. 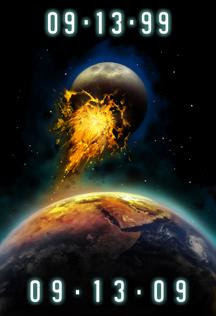 But the ape army is already on the march, and the mutants they war against are readying the Alpha/Omega bomb in defense, an atomic weapon capable of cracking the Earth’s crust like an egg. 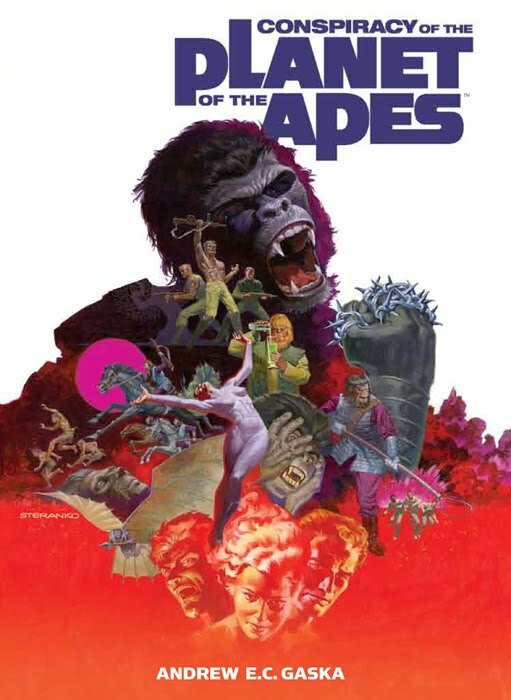 When Taylor escapes his mutant prison with the help of fellow astronaut Brent, only to lose Nova, the one woman he has come to care for throughout his entire life, both apes and mankind find themselves facing the Death of the Planet of the Apes. Happy Holidays! The Conspiracy of the Planet of the Apes MySpace, Facebook, and Twitter pages are now live! In addition, the BLAM! 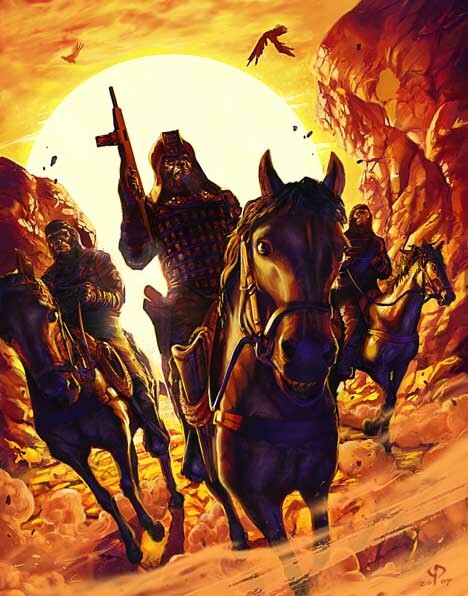 Ventures online store, THE AMMO DEPOT, is now open, and carrying exclusive POTA merchadise! We are selling the remainder of Alpha and Omega prints offered at San Diego Comicon this year for $30 a piece, or you can buy the set of two for $60 and get the five released Conspiracy trading cards AND Landon's dogtags for free! In addition to that, Any order from now until February 1, 2010 will receive a free unannounced 10th bio trading card - featuring Dr. Cornelius! Labeled '0 of 9', this extremely limited collectible is yours free with any order placed here! Simply write the text: STINKING PAWS in the notes on your PAYPAL order, and this card will be sent to you with you order. Already have Alpha and Omega? 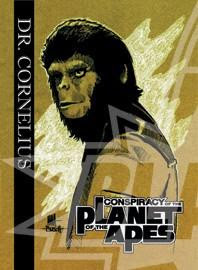 Don't worry, anyone who has previously ordered the prints from us need not worry about getting the Cornelius card. As a special thank you to the fans, BLAM! will be mailing out the new bio card to everyone who has made a previous purchase, free of charge. Order soon, supplies are VERY limited! While I'm not working on that property, it is being guided by the able hands of my co-author and BLAM! Ventures creative director Andrew E. C. Gaska. Check it out, and look for more info in the coming weeks. 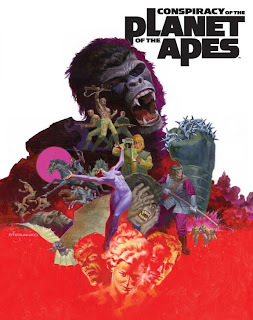 In POTA news (because there is a bit of that), we've got a big story meeting coming up as we head into what I believe will be the final draft. Exciting times! Enjoy the rest of your weekend, Conspirators. Our first Conspiracy of the Planet of the Apes interview is up! 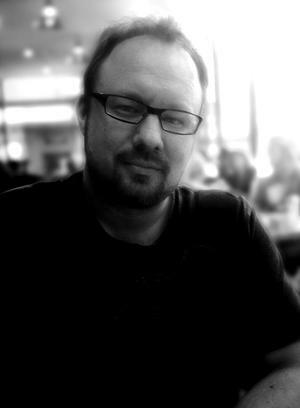 The good folks over at the Adventures in Sci Fi Publishing podcast have been doing a bunch of post-SDCC coverage, and as I mentioned back here, Lou Anders had interviewed me for the show. The main interview for this episode, conducted as always by host Shaun Farrell, spotlights two of this years L. Ron Hubbard Presents: Writers of the Future contest winners. The SDCC interviews, beginning with mine, come in at around the 37:26 mark. It's OK if you skip ahead to listen (I won't tell), but don't forget to check out the rest, as I've said before AISFP is a podcast worth subscribing to. Episode 83 of AISFP is available now, go listen and spread the word!